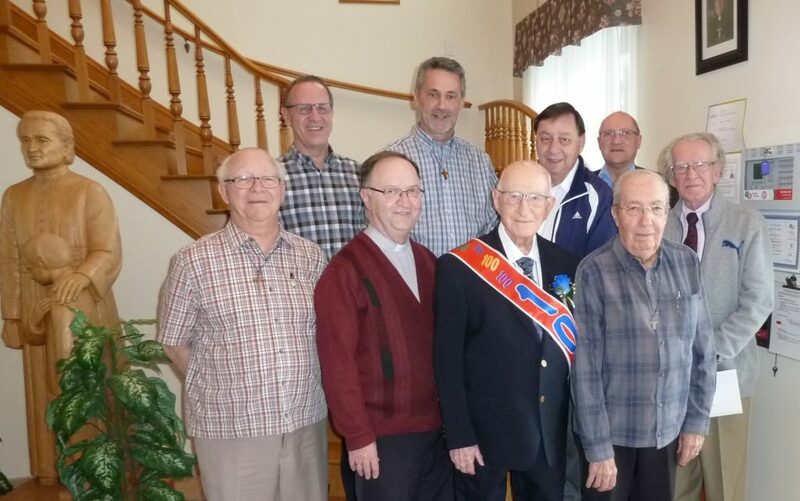 With the confrères of the community of Pointe-du-Lac, Québec. 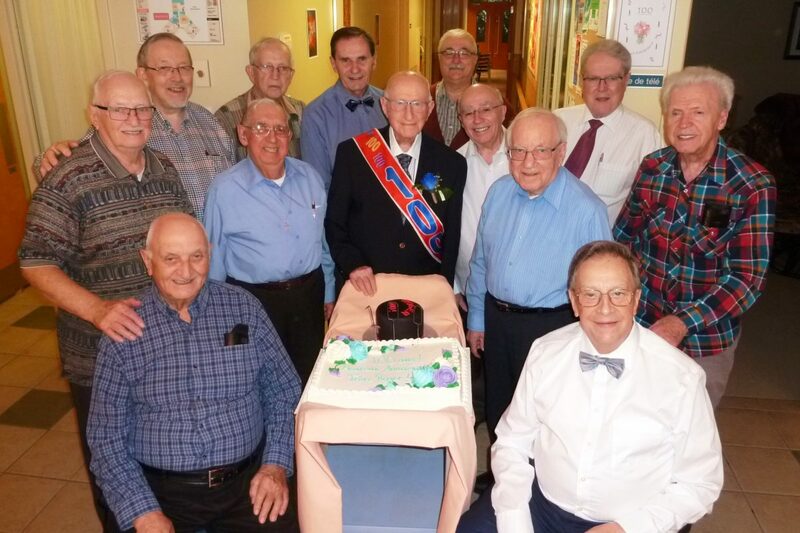 Double distinction for Brother Roger LeBlanc, Community of Pointe-du-Lac, Quebec, Canada. 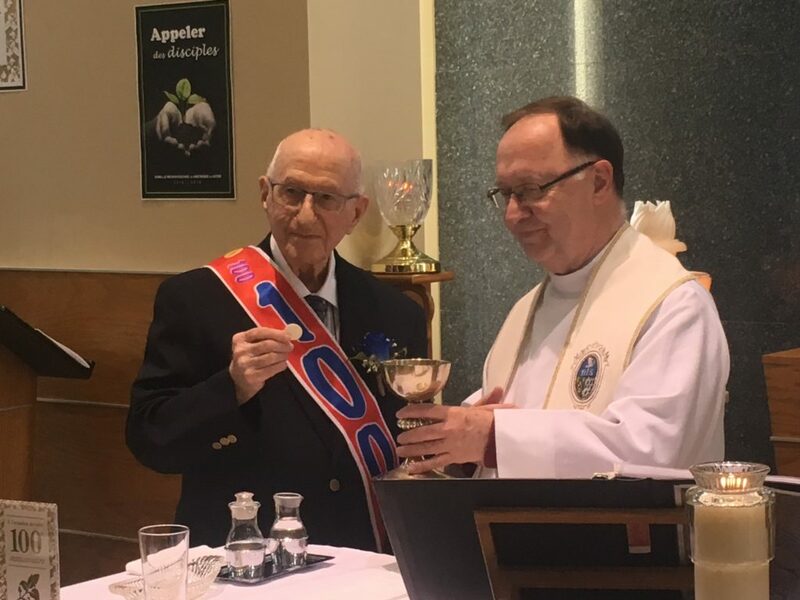 On the 1st December 2018, surrounded by his confreres and friends, he confirmed his title of Dean of the Congregation and crossed the 100 year mark! 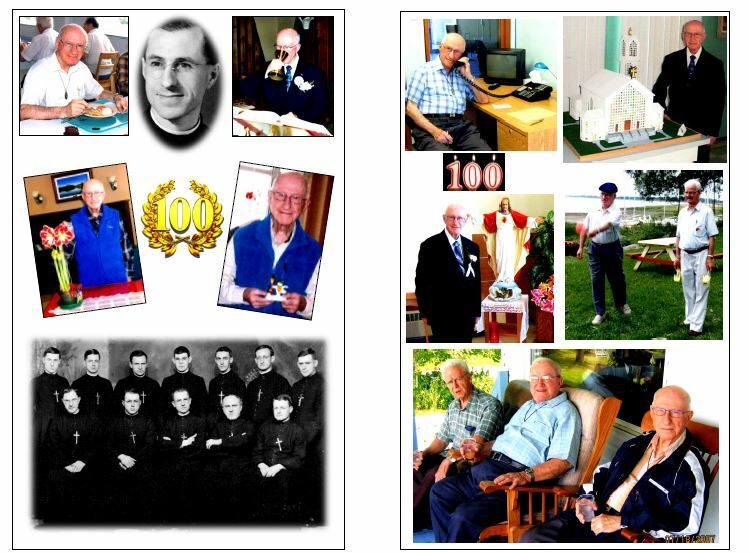 Some various stages of Bro Roger’s life. Fr. Denis Béland, the community Chaplain, greeted the seasoned and experienced pilot. “Your joy was great to welcome a Confrere in your cockpit to allow him to admire from above the wonders from below, the beauties of nature and landscapes, and to say with the Psalmist: How great are your works, O Lord! Fr. Denis Béland, the community Chaplain, greeted the seasoned and experienced pilot. With the guests of the day,besides those of the local community.